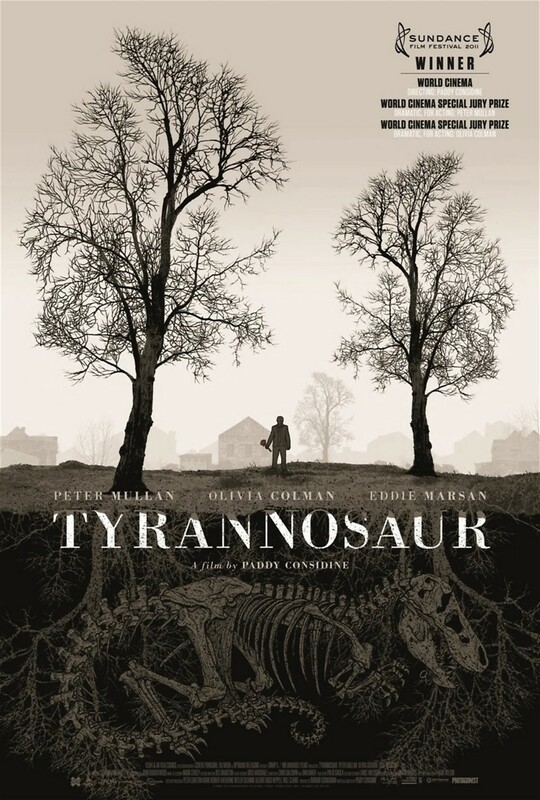 Tyrannosaur DVD release date was set for April 3, 2012. Joseph is an angry loner given to fits of violent temper. He shuns other people until one day he gets beaten up and seeks refuge in a shop. There he meets Hannah, and they strike up a tentative friendship. However, their growing relationship is threatened when Joseph learns that not only is Hannah married, but she is a victim of domestic abuse. Hannah turns up at Joseph's house and he thinks she has escaped her husband, but when he goes to collect some of her things he discovers a new painful secret.